A little over a year on from the first ever competitive women’s football match in the history of West Didsbury & Chorlton; the women’s development squad will take to the field on Sunday for their first ever competitive fixture. 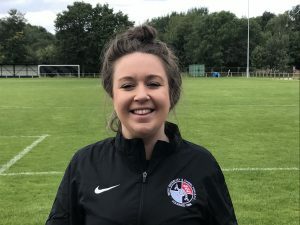 They welcome fellow new club AFC Oldham to Brookburn Road when they kick off their season in Division Two of the Greater Manchester Women’s Football League, 2pm KO. 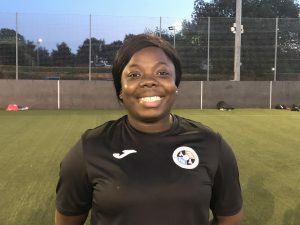 Led by new manager Nathan Soulby, a UEFA B licensed who by day works for Manchester City, the ‘Devs’ have blended together a squad of both youth and experience ahead of the new season. 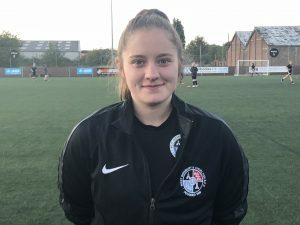 A goalkeeper who joins West straight out of university football and has impressed goalkeeping coach Reece Bogart with her assured displays throughout pre-season. Stephanie Ambo announced her arrival with a stunning volley in the pre-season 10-1 win over Didsbury in July. Having since converted to central defence the former Crewe Alexandra player has wowed the manager with convincing displays playing the ball out from defence. 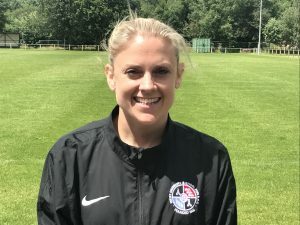 Jess Hartley is technically astute and intelligent player who can play in defence or midfield as well as a set piece specialist. 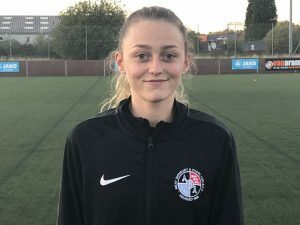 One of three teenagers in the squad Chloe Jackson-Ogden is playing her first adult football having joined from Crewe Alexandra’s youth setup. 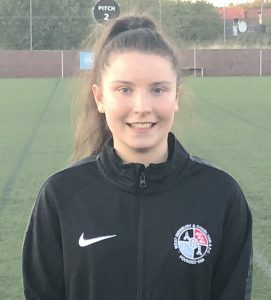 Chloe has quickly cemented her place in the team with several impressive performances and an assured ability to play out from the back. 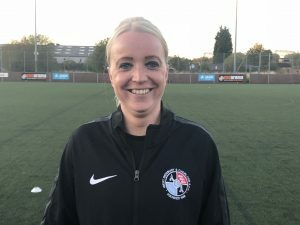 Appointed captain by manager Nathan Soulby Leanne Joyce brings a wealth of football experience to the young squad having helped Chorltonians to promotion from the GMWFL in 2016. The charismatic midfielder provides the engine room to West’s midfield having famously once played 90 minutes hours after having completed a 10k run. 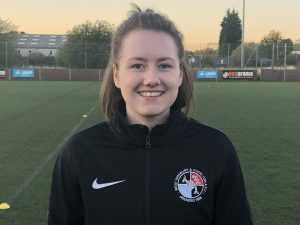 Returning to the game following a spell out, Leanne Higham has impressed throughout pre-season with her ability to drive the ball forward which has seen her make appearances for both the first and development teams; often on the same day. 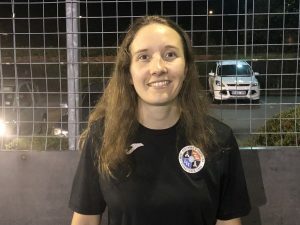 Making the transfer across from Futsal Julie has already impressed the coaching staff with her command of the ball and has quickly adapted to the speed and physicality of the 11-a-side game. 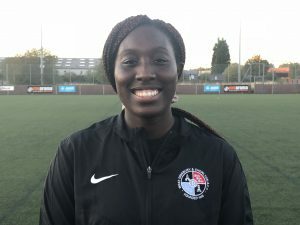 A lighting quick wide player who joins West having spent time playing in America Maya Germain has impressed throughout pre-season despite being beset by a hamstring injury. 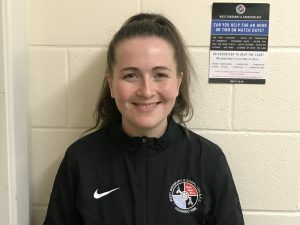 The second of the trio of teenagers playing their first adult football; Mia Fenton joins from Urmston Meadowside’s junior section having impressed throughout pre-season in both defensive and attacking roles. 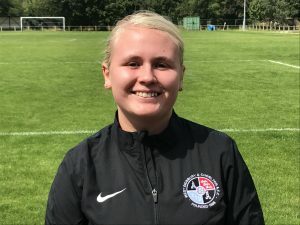 The final of the trio Abi Littler has impressed the management team with her pre-season performances scoring twice and setting one up for the first team which saw her in the match-day squad in the season opening FA Cup win against Manchester Stingers. An experienced player joining West from Manchester Stingers following a year out with injury. 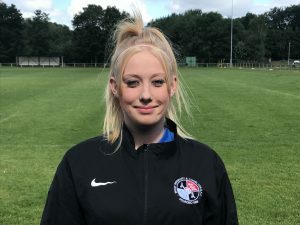 Rachel is a player already pushing for the first team, setting up the dramatic equaliser in the 3-3 draw against Stockport County Blues and scoring the winning goal against Barrhill in a 2-1 win. A player whose excelled in pre-season for both the first and development teams. Switching her time between defence and attack Anna has developed a reputation for scoring stunning goals as well as being a assured presence in defence. Anna even donned the gloves impressing in an inter-squad game in pre-season. 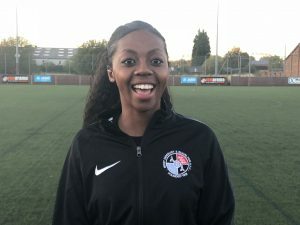 Joining the club from Altrincham the West striker has impressed throughout pre-season with her powerful displays up front and an explosive shot. 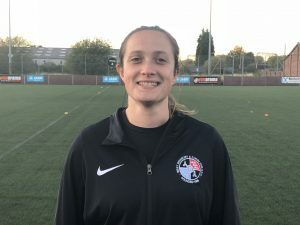 Despite only being 22, as well as having scored 10 goals for the first team last season, Leigh McFadyen brings a wealth of experience to the side and has lead the from the front throughout pre-season with several impressive goals. West Women’s Development Squad welcome AFC Oldham to Brookburn Road this Sunday, 2pm KO, in the Greater Manchester Women’s League Division Two. As always the bar will be open, admission is FREE and everyone is welcome. C’mon West.